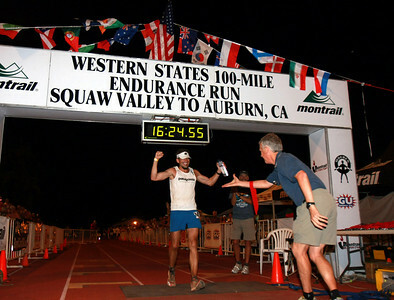 The 35 running of the Western States Endurance Run from Squaw Valley to Auburn California was held June 27, 2009. 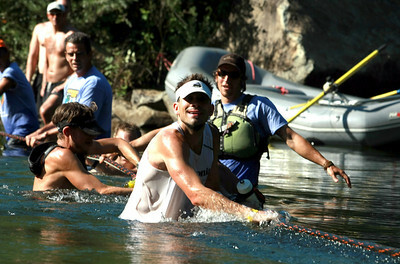 The 100 mile run covers a historic trail through canyons and crosses rivers. Over 400 runners participate in a lottery for a chance to run the course. 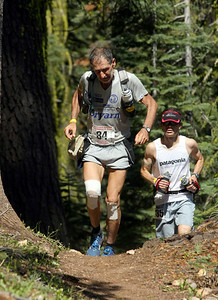 Hal Koerner of Ashland Oregon was the overall winner with time of 16:24:55 and Anita Ortiz was the women's winner and finished ninth overall with a time of 18:24:18. 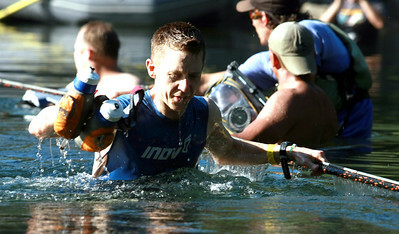 The run is full of excitement as runners tackle the grueling course in 100 degree heat during the day. 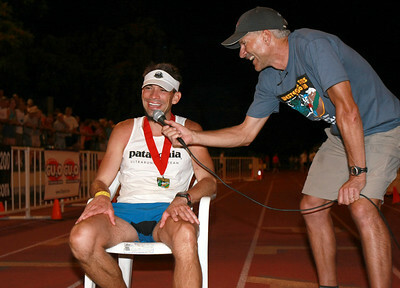 2009 WS100 winner Hal Koerner is interviewed by Tim Tweitmeyer at the finish line. Koerner finished in 16:24:55. 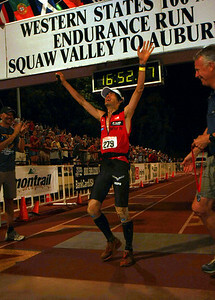 Hal Koerner crosses the finish line winning the 2009 WS100, for the second time in a row. 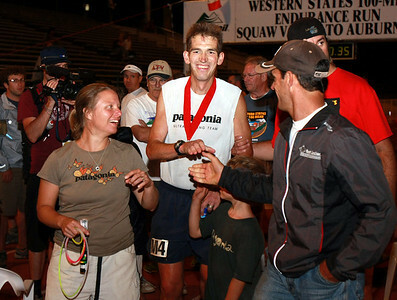 Koerner won the run in 2007 and the race was canceled in 2008 because of area forest fires. 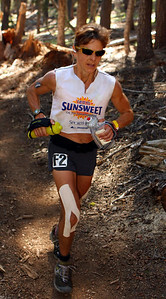 Anita Ortiz was ninth overall and the 2009 women's winner. 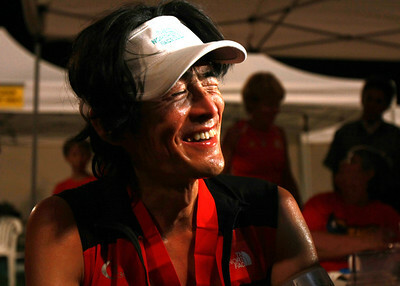 A happy Tsuyoshi Kaburagi at the finish. Anita Ortiz has her blood pressure and pulse checked by a medical aid station worker upon winning the women's division. 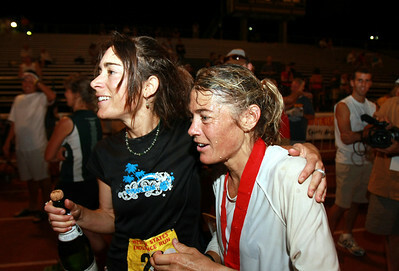 Anita Ortiz (in white) celebrates with her pacer at the finish line. 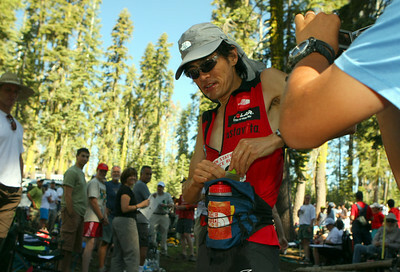 Ysuyoshi Kaburagi celebrates his second place finish. 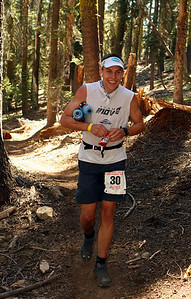 Hal Koerner at the Robinson Flat aid station. Hal Koerner climbs out of a canyon into Michigan Bluff. 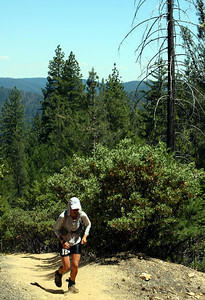 Anita Ortiz just outside of Robinson Flat. Hal Koerner crosses at Rucky Chucky. Anita Ortiz climbs into Michigan Bluff. Jez Bragg of Great Britain runs out of Robinson Flat. Bragg finished third. 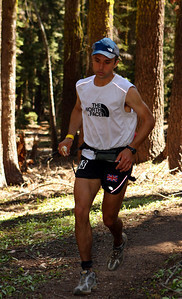 Second place finisher at the Robinson Flat aid station earlier in the day. Third place women's finisher Beverely Anderson-Abbs just outside of Robinson Flat. 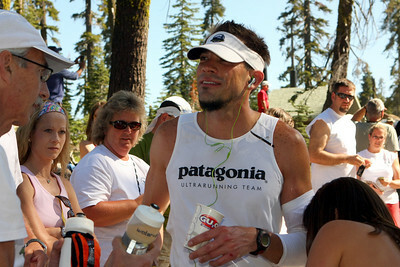 Runners endured 100 degree heat during the run. 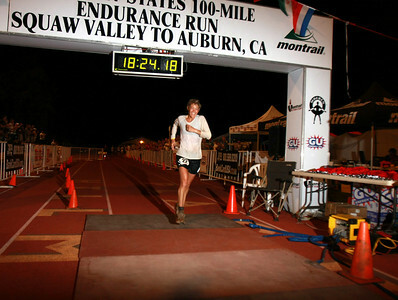 Second place women's finisher Kristin Moehl. A happy Andy Jones-Wilkins at the finish line. 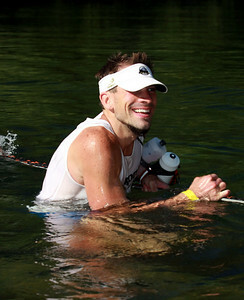 2009 Western States Endurance Run winner Hal Koerner crosses the river at Rucky Chucky. 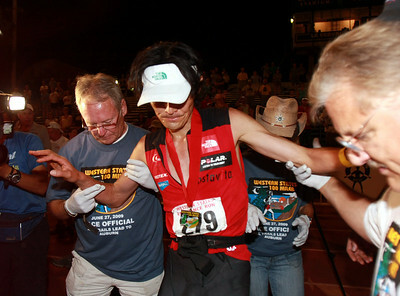 Japanese runner Tsuyoshi Kaburagi is helped to the scale at the finish line. 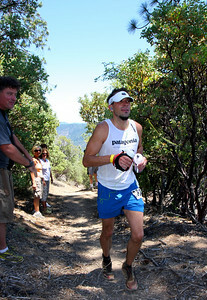 Kaburagi was a surprise second finisher, running the WS100 for the first time.